So many books, so little time!!! Don’t you wish you could speed read? I know, at times, I do. There are just too many great books that have been and are being written and I want to read all of them. Today, we have author, Erik Hanberg, visiting to tell us about his book. Welcome Erik to the CMash Blog!! My novel, The Saints Go Dying, features a computer-hacking detective on the trail of serial killer. No one on the force knows he’s a hacker, though, so he has to stay one step ahead of them. Hacking is routinely sensationalized in books and movies. It’s as if hackers type in a few special keystrokes no one else knows about and suddenly, bam! They are into the Department of Defense mainframe. The truth is, hacking is actually quite slow and hard, especially when you’re talking anything worth hacking into. The easiest way to hack something is to figure out someone’s username and password. Too many people choose unsafe passwords and too often they can be hacked just by trying some common passwords or words from the dictionary. Besides that option, hacking is often a slow process. Hackers can set ‘snares’ online and wait for prey to be caught by them. They can seek clues in the real world—like passwords written on Post-It notes and put on the edge of the monitor. They can even go to online forums and ask their friends for help—after all, why reinvent the wheel if someone else has already hacked into a server first? All of those options can be effective, but they give you a sense of what hacking might be like. In The Saints Go Dying I try to give realistic and yet also interesting ways for the detective to hack into something. This is probably a good time to mention that I am not a hacker. Nor do I think it’s something worth celebrating. But it is interesting and I’ve enjoyed learning more about it via my novels. 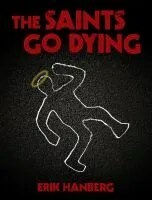 I hope you will check out the ebook of The Saints Go Dying! And watch for The Marinara Murders, the sequel, which is due out in November. 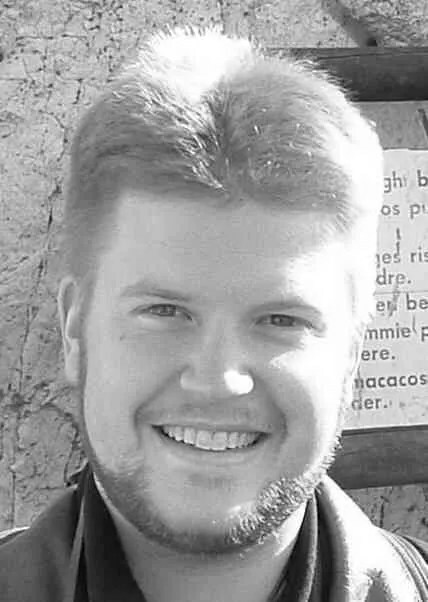 Erik Hanberg lives in Tacoma Washington with his wife Mary. He blogs regularly at erikhanberg.com.